Ray, Mary Lyn and Frazee, Marla. Stars. 40 p. Beach Lane Books. 2011. Hardcover $16.99. 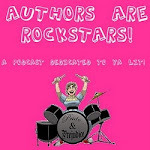 ISBN 9781442422490. 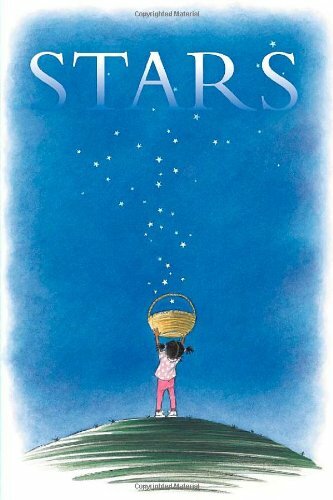 This beautifully illustrated, simply written picture book calls children to notice the stars, to feel comforted and strengthened by their presence-- even when they're invisible. The narrative underscores the importance of having something to believe in. It also encourages creativity and imaginative play, and invites children to look beyond the literal and see stars in different places all around them. The richness of Frazee's artwork emerges with each reading of this book. Details and characterizations reveal themselves to the delight of a child who loves to make visual connections, and the brilliance with which Frazee depicts the vastness of the sky is stunning. "A star is how you know it’s almost night. And the dark that comes doesn’t feel so dark." This book has become a welcome part of my three-year-old son's bedtime routine. He asks for it every night, and I'm more than happy to cuddle up and read it with him. I've heard Caldecott buzz for this one, and I wouldn't be surprised to see a sticker on its cover next year.